A new analysis of neutron-induced reactions on 239Pu above En = 20 keV was performed as part of the evaluation activity for Version VI of ENDF/B. This study merges results from a new theoretical analysis of n + 239Pu reactions with covariance analyses of experimental data for the 239Pu total and (n,f) cross sections and for the prompt fission neutron multiplicity. 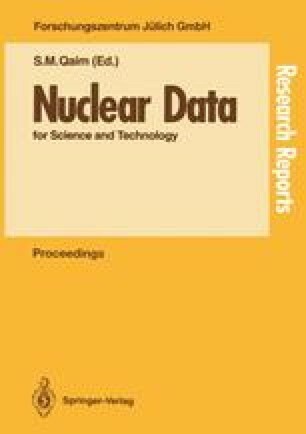 The results of this study are combined with a new analysis of the resolved and unresolved resonance regions of 239Pu to produce a new evaluation spanning the incident neutron energy range 10−5 eV to 20 MeV. Preliminary data testing calculations for several fast critical assemblies were performed in conjunction with the evaluation.